It’s necessary to determine at what point the benefits outweigh the costs of modernizing legacy software. Technological progress and shifts in consumer demographics are driving companies to evolve new business models to better navigate increasingly competitive markets. As mobility becomes a key component in information technology strategies, more companies are being forced to consider legacy software modernization as a possible solution to the balancing act required in leveraging existing legacy systems against the need to find innovative ways to drive business. In order to address this issue, it’s necessary to determine at what point the benefits outweigh the costs of modernizing legacy software, and systems to be more in sync with modern business needs. 1. Your business methods have changed, but the systems supporting your business have not. When you first launched the software and applications now considered to be your legacy infrastructure, your workflow and customer engagement methods were likely very different than what they are now. Time and experience have provided you with new business practices better suited to your business model and you’ve reached the point that legacy software modernization is no longer an option. 2. Your existing system will not integrate with new solutions. As applications are integrated into the legacy system, there will be a point at which the core systems will no longer work with modern software and applications that are necessary to continue to evolve your business. The need to modernize this legacy software will become only too apparent as incompatibility between systems begins to cost the firm money and reputation. 3. 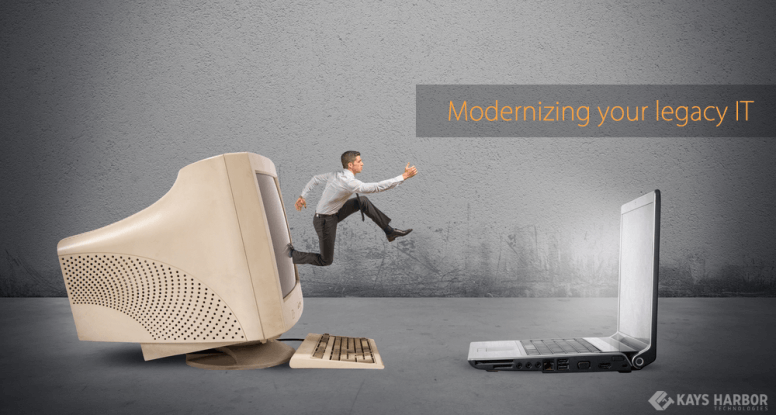 The costs of operating and maintaining the legacy system exceed the cost of modernization. Though an expensive investment at the outset, it’s vital to accept that paying the cost to modernize legacy software now will result in greater efficiency and increased revenues over time. 4. Users, both clients and employees, struggle to use your system. Slow, difficult to use systems will affect productivity and client experience. 5. Mobility is not an option. Modern businesses require mobility. 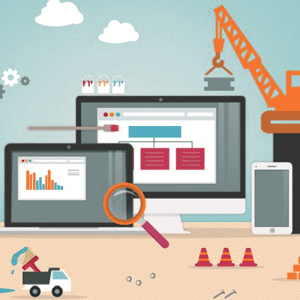 Legacy software modernization ensures clients are able to interact with your brand’s website or online marketplace. Modernization ensures your employees can engage clients and each other more efficiently. A legacy system that allows neither of these things by hindering the integration of mobility is a system that is in dire need of replacement. Having established that legacy software modernization is necessary for the future success of your organization, it’s important to understand the challenges you will face in during the integration and launch cycle and how to best navigate the road ahead. Don’t let negative attitudes dictate the future success of your business. As owners and operators of businesses, at some point you took the risk and invested in the software and applications you have in place currently to provide services to your clients. Therefore, at some point you have to accept that “too expensive” and misplaced allegiance to outdated technological infrastructure are excuses that will cripple your business. You cannot afford to not modernize legacy software – your infrastructure must be brought in line with the future vision for your organization. A brief period of downtime and a brief learning curve now will mean increased efficiency and profitability later. Legacy IT modernization might mean some downtime of your existing software and a brief period of adjustment for your clients and employees as they learn new systems. However, modern systems better match the workflows of your stakeholders and are designed with user accessibility as a key feature. Both your employees and your clients will find that an upgraded system is more in line with their expectations of how the software should function, and they will embrace the changes and be excited to learn how their workflow will improve. Pre-planning and communication throughout the modernization process is necessary for success. Legacy software modernization is a huge paradigm shift for any business entity. It’s vital in the early stages, before a single upgrade or installation occurs, that a solid implementation plan is in place and has been communicated to all stakeholders – especially the end-users. Educated and empowered employees are more likely to remain engaged with the modernized software throughout deployment, and thus continue to provide great service to customers while remaining efficient. Do you know when to bring in the professionals to help with your legacy IT modernization efforts? 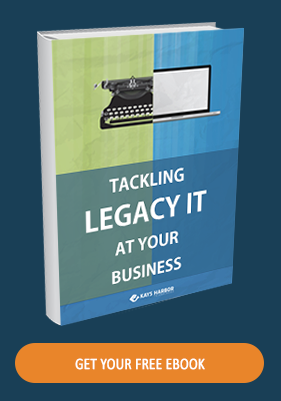 If you’re looking forward to legacy IT modernization at your business, chances are your IT department would benefit from guidance, while your staff would also benefit from a dose of initial positivity and ongoing support. Kays Harbor has significant experience guiding companies through the planning stages, assisting and supporting through the launch-phase of new modernized systems, and creating on-going feedback regimens to ensure the solution meets the future vision of the organization. We look forward to doing business with your company and handling all of your modernization concerns.